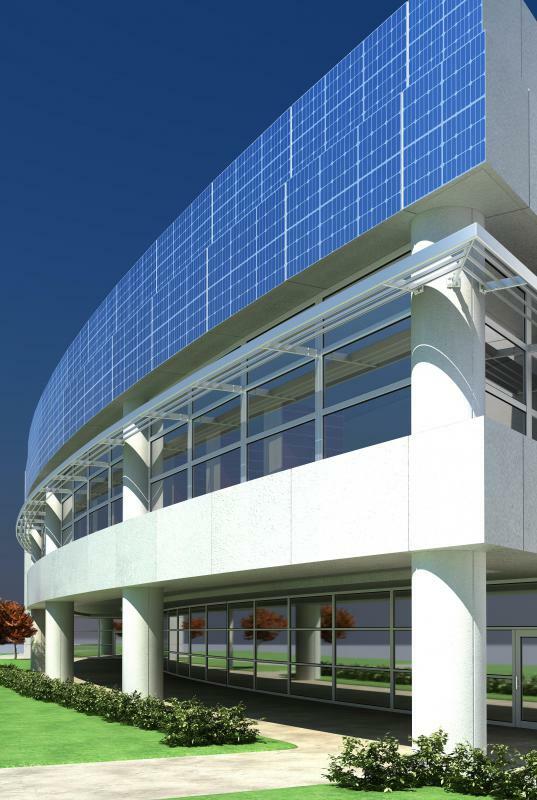 A zero-energy building will likely feature solar panels. Solar panels for residential roofs can provide a home with electric power, helping it achieve a zero-energy status. 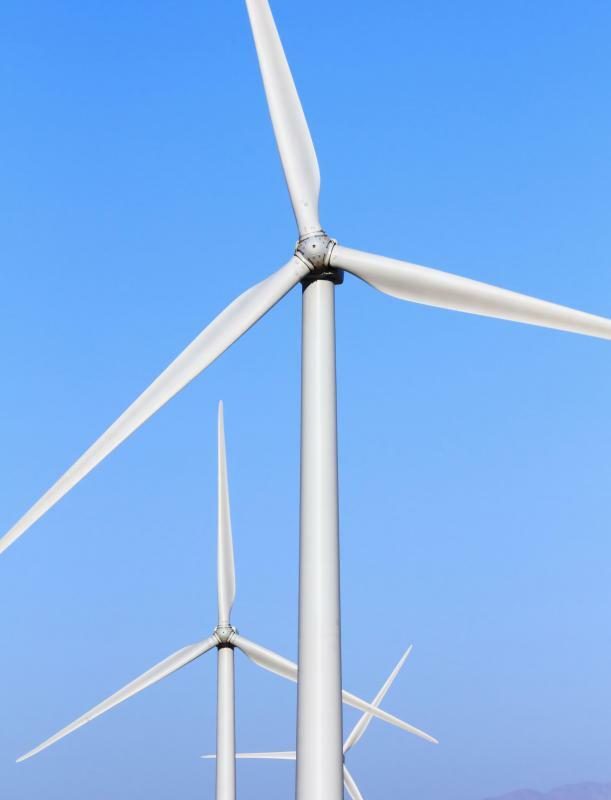 Wind turbines are often used when erecting a zero energy building. A zero energy building is a type of structure that produces the same amount of energy as it consumes. This results in zero net energy usage, which gives the building its name. The building is designed to be self-sufficient when it comes to electrical needs. The layout and materials used in the building normally assist in maintaining an ideal atmosphere inside the structure. This removes some load in the generators, making it easy to achieve zero net energy consumption. Environmental concern is the main reason why the net zero energy building was conceptualized. By creating a building that relies primarily on alternative energy, the dependence on fossil fuel is minimized. The building does this by integrating electrical generators in the structure. The electricity typically comes from renewable energy sources. Solar panels and wind turbines are commonly used as they rely mostly on natural weather conditions and are not as invasive to the environment as other sources of energy. This is why a zero energy building is sometimes called a green building. When designing a zero energy building, it is important to minimize energy consumption as much as possible. A zero energy building commonly utilizes energy efficient fixtures, appliances, and design. These reduce the energy required from the generators. Weather conditions may not always allow the building's generators to produce sufficient energy. In such instances, the building may acquire the extra energy it needs from the power grid. There are several advantages in a zero energy building. Using renewable energy reduces carbon emissions from fossil fuels. A green building may increase market value for environment conscious homeowners. Independence from the electrical grid also saves the owners from fluctuating energy costs. On average, a zero energy building costs more than a conventional building of the same size. Some people argue that the accumulated energy bill will eventually outweigh the high initial cost of the building, however. Improvements in solar cell and turbine technology may also save on future building costs. Some communities assemble a cluster of zero energy houses. They form a de facto electrical grid that shares the energy, heating, and other energy functions. The proximity of the houses reduces transmission and distribution losses and minimizes the cost of constructing the generators. Localities that have no established electrical infrastructure often make use of this arrangement to create a stable energy source. 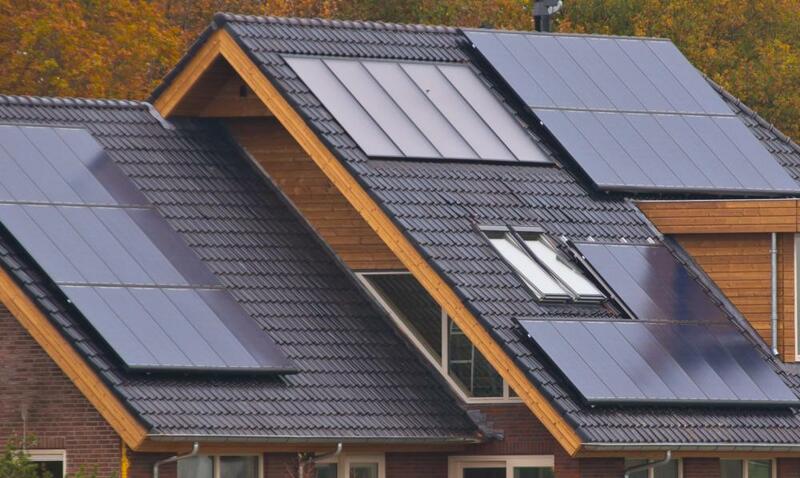 In 2000, a German architectural firm built the first triple zero energy house. The house is able to generate more energy than it consumes, which it can store or transfer to an electric grid. In addition, the house has zero net carbon emissions. The final zero comes from the building materials; only recyclable materials were used during construction.